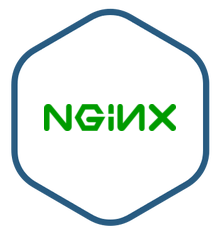 NGINX Open Source image is secure, up-to-date, and pre-configured to work out of the box. NGINX Open Source is a popular web server that can also be used as a reverse proxy, load balancer, and http cache. NGINX Open Source is the web server of choice for many of the world's largest websites, valued for its event-driven, asynchronous architecture that makes it ideal for heavy loads. NGINX can handle over 10,000 simultaneous connections without using a large amount of memory. Also known as LEMP stack (for Linux, NGINX, MySQL, PHP,) this image has everything developers need to get up and running quickly and reliably. Using a pre-configured NGINX environment gets you up and running quickly because everything just works out of the box. Manually deploying and configuring an environment can be a difficult and time-consuming hurdle to developing an application. Bitnami has done this work for you, so you can avoid installing and configuring multiple components and libraries and instead focus on writing awesome code. Popular web server that can also act as a reverse proxy, load balancer, and http cache. Its asynchronous, event-driven approach to handling requests makes it ideal for handling large amounts of traffic. Pre-configured LEMP stack includes Linux, Nginx, MySQL, and PHP; all pre-configured and ready to run your code. Includes other components and libraries such as phpMyAdmin, SQLite, ImageMagick, FastCGI, Memcache, GD, CURL, PEAR, and PECL.